1. In a large cast iron or stainless steel pot heat the oil. Add onions and peppers and cook on moderate heat, stirring until softened about 6 minutes. Add all of mushrooms. Season with salt and pepper and cook until browned, about 10 minutes. 2. Smash together the garlic and caraway seeds with a generous pinch of salt. Scrape into the pot. Add the paprika and tomatoes and the rest of the vegetables. Add the broth and bay leaves. Bring to a boil. 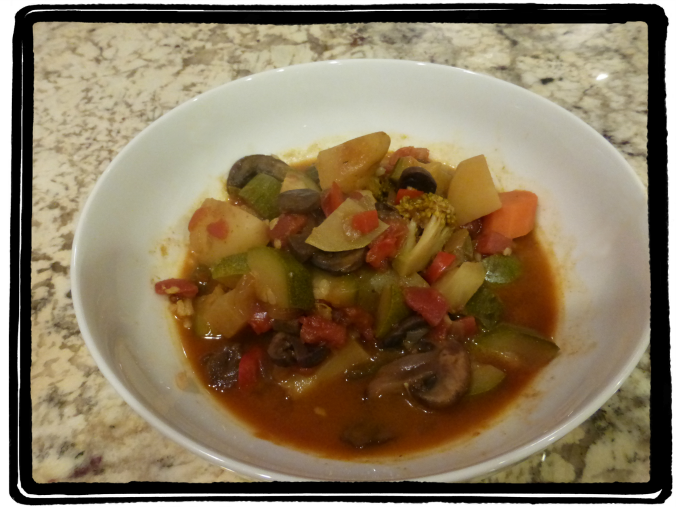 Cover and turn down heat to low until vegetables are cooked and stew is richly flavored. Adjust salt and pepper to taste, about 1 hour. 3. Cook noodles or grain. Serve with sour cream and dill.